More than 4,000 employees work on three shifts at the 4.4 million-square-foot Texas plant. DETROIT -- General Motors plans to invest $1.4 billion in its Arlington, Texas, plant to keep pace with brisk demand for its big SUVs. GM said it will reconfigure the factory, including the addition of a new paint shop and new body shop. The plant's general assembly area will also be retooled, the company said. Work is scheduled to begin this summer and take about three years to complete. The project will add 1.2 million square-feet to the factory. GM said production schedules for the Chevrolet Tahoe and Suburban, GMC Yukon and Yukon XL, and Cadillac Escalade will not be affected during construction. Reports about the expansion began emerging earlier this year. GM has been straining to meet demand for the SUVs amid lower fuel prices and well-received redesigns of the trucks, which were launched in early 2014. Since their rollout, dealers have complained that they haven't been able to get an adequate supply of the SUVs. Combined U.S. sales of the SUVs rose 2.1 percent through June vs. a year earlier. 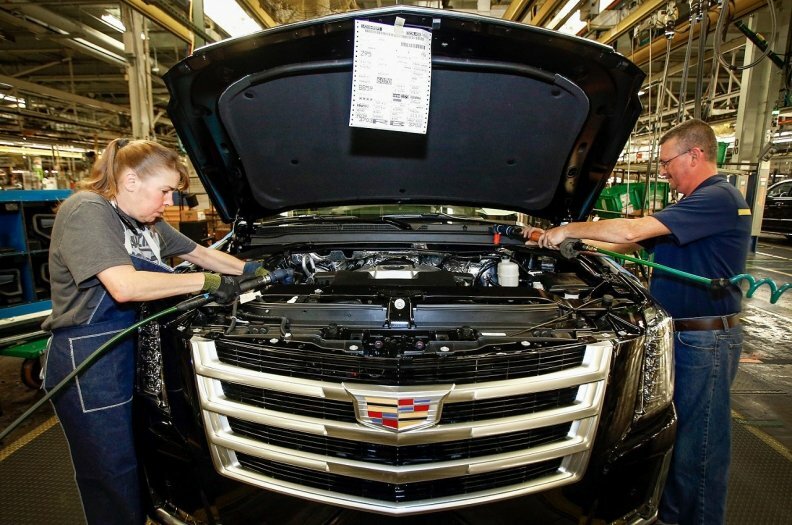 “This super-sized investment reflects GM’s commitment to our full-size SUV customers who expect nothing but the absolute best from us and their vehicles,” Cathy Clegg, GM's vice president of North America manufacturing and labor relations, said in a statement. The project will help "us keep the employees that we currently have working here in our three-shift operation," a GM spokeswoman said. More than 4,000 employees work at the 4.4 million-square-foot plant, which was built more than 60 years ago. The Arlington investment is the largest in a series of plant overhauls that GM has announced recently. The outlays are expected to total $5.4 billion over the next three years.